Hello and welcome to the I Want More Comics Podcast! On this episode we discuss our other collecting interests! In the News we discuss our Wonder Woman movie thoughts, Batman's "Secret" to Catwoman and also our Stream Sale and Book Club. In Picks of the Week Sean and Richie both chose Spencer and Locke #2 (Action Lab) and Zack chose 100 Things Spider-Man Fans Should Know & Do Before They Die by Mark Ginocchio. In Spinning the Racks we discuss our other collecting habits. Sean collects vinyl records, Richie talks his love of Pro Wrestling and Zack talks all about Godzilla. 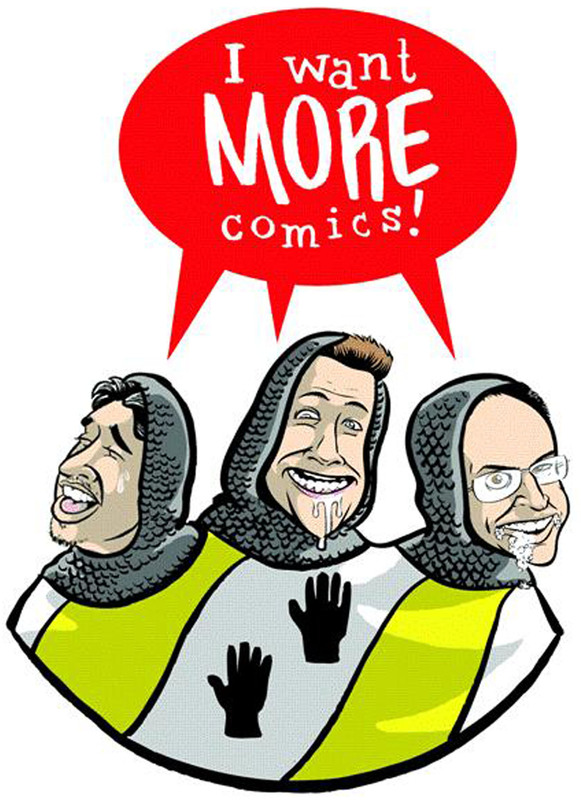 Join us next week for another episode of the I Want More Comics Podcast!